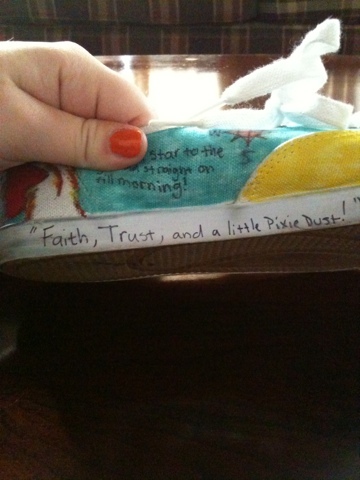 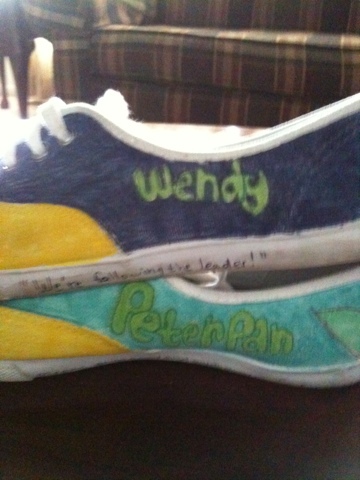 As many of you may know I have an obsession with Peter Pan. Favorite Disney movie of all time! 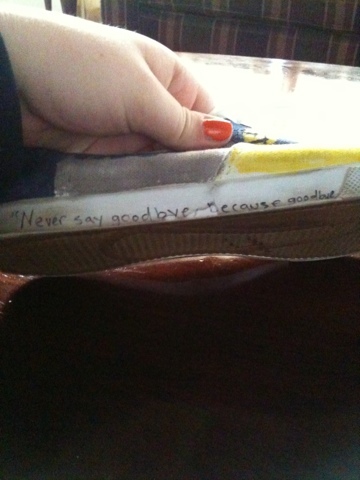 Well I happened to have a spare pair of white keds that i never wear. 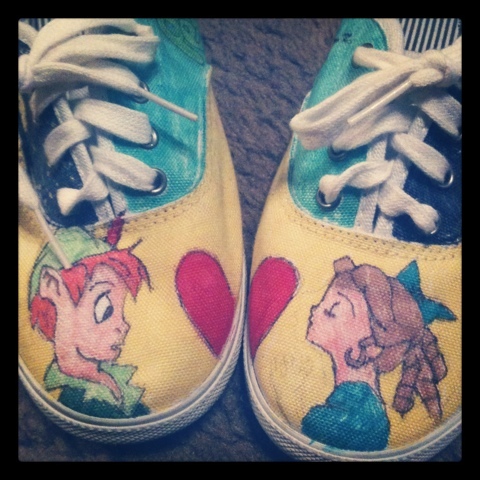 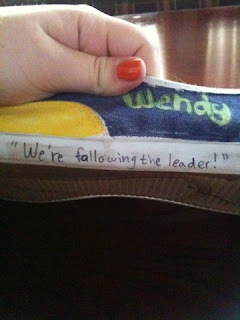 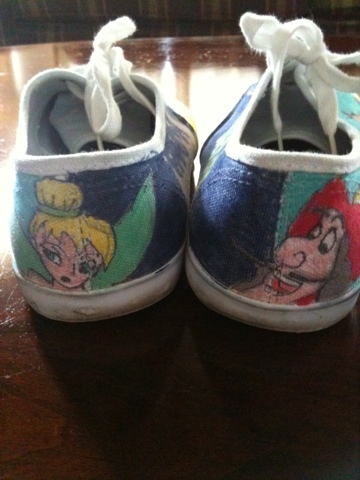 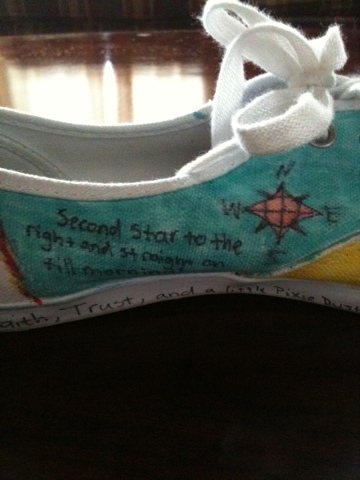 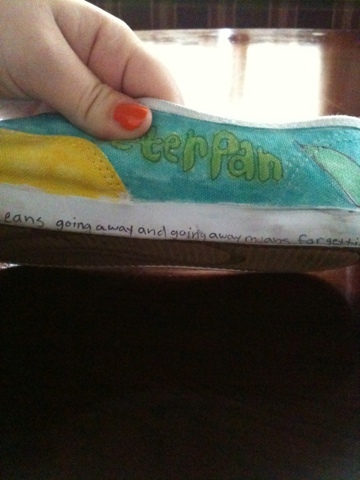 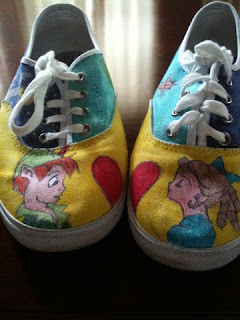 Since I never wear them I thought what the heck lets decorate them up Peter pan style! 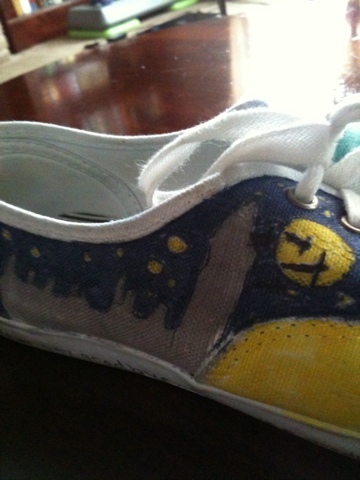 Here's how they came out! Thanks! I'm doing a superman pair next!